The CarrierBid team will advise you as you execute your mission to deliver great customer service, drive new revenue, increase customer loyalty, and implement self-service technologies. 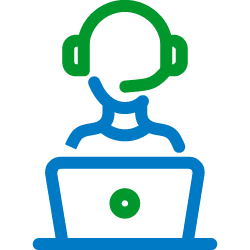 Our experts help you reduce costs in your contact center by securing extremely competitive pricing while maintaining and even improving customer service levels. CarrierBid partners with the leading providers of cloud contact center software and hosted contact center platforms to bring a wide variety of technical resources to the table so you can leverage far-reaching experience to help your business make the right strategic choices for short-term and long-term success. How many total call center agents do you have? How many agents take calls concurrently? What does the agent’s day-to-day look like? Are your calls primarily inbound, outbound, or a mix of both? What is the current CRM system being used? What phone system(s) are you currently using? Are they premis based systems or VoIP? Let us help you navigate and make an informed decision to save money and drive new revenue for your business. For immediate service, or to schedule an initial consultation, please call or fill out the form and an expert will contact you right away.